Juggling gold coins and saving money to buy some beer! Cool Leprechaun posing with his pot of gold while feeling proud at Saint Patrick’s Day. 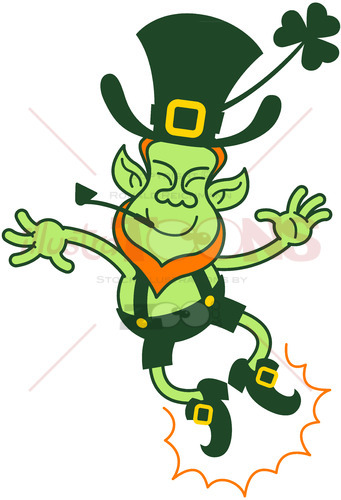 Smiling Leprechaun standing behind his pot of gold and smiling enthusiastically while juggling gold coins.